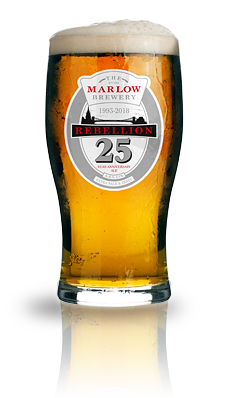 Brewed to celebrate Rebellion Brewery ‘s 25-year anniversary of brewing in Marlow. 25 is an extra pale ale brewed with Sterling hops, citrus peel and Belgian ale yeast. Sterling hops, not only have an entirely appropriate name for silver anniversary beer but also have a beautiful lemon and spicy character which work in harmony with the other elements of the ale. The inclusion of lemon and orange peel adds a subtle citrus aroma and the Belgian ale yeast contributes a spicy note and gives this beer a real Belgian ale character. 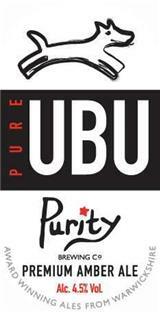 Pure UBU (4.5% ABV, IBU36) is a distinctive, full flavoured beer with a sweeter finish. Brewed with English Maris Otter, Crystal, and Wheat malts, with Pilgrim and Cascade hops.